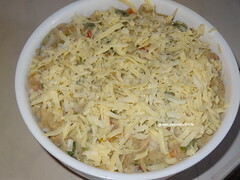 My mum used to do baked vegetables. 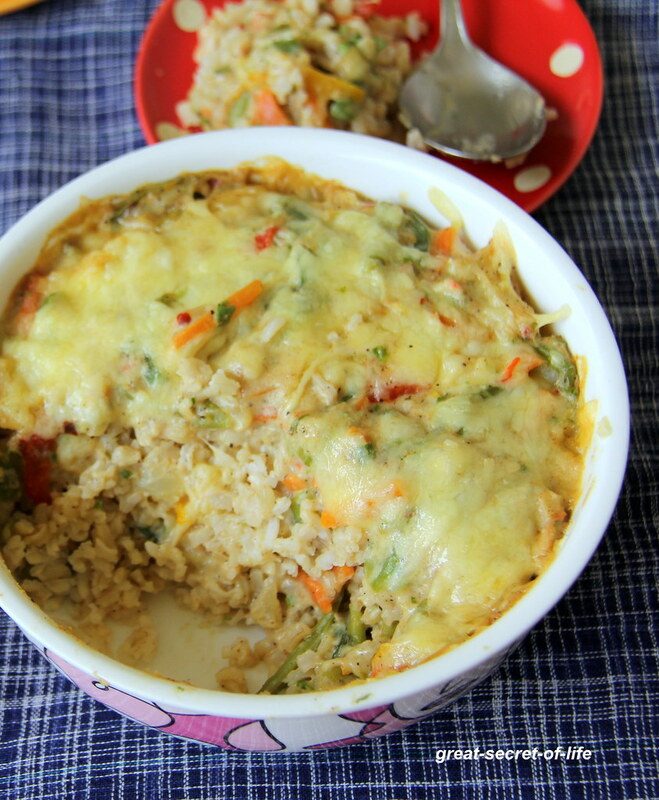 Few months ago I used same recipe my mum uses to make baked vegetables to bake the rice also. Kids loved it. 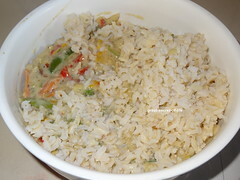 From there I do make this rice very often esp for Sunday lunch. 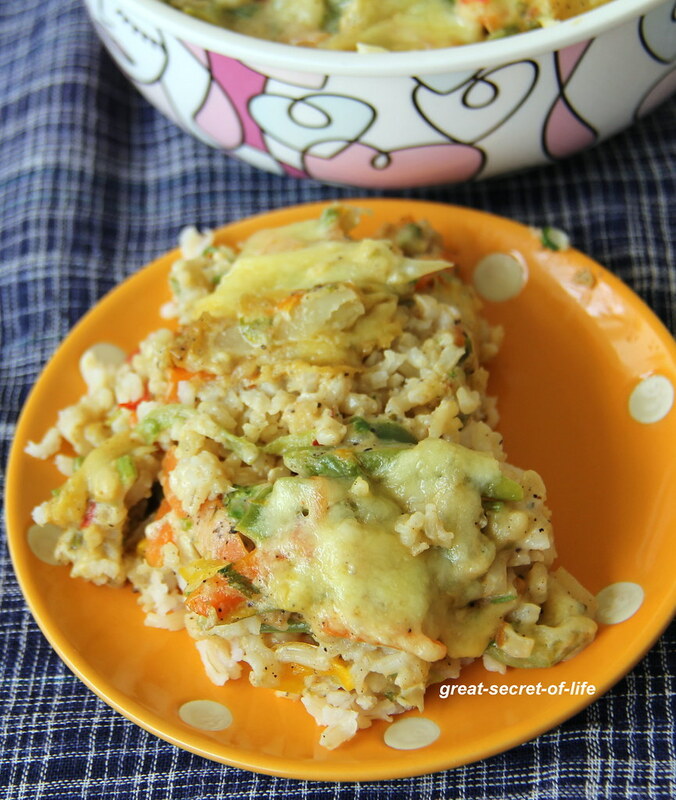 I made it with brown rice. 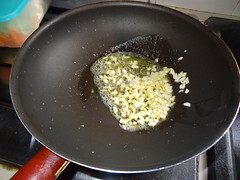 Heat oil and add garlic. Fry till it is brown. 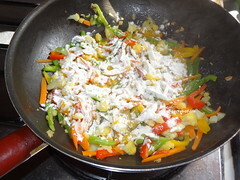 Add all the vegetables and required salt for the vegetables and fry till they are cooked. Sprinkle all purpose flour. Mix well. 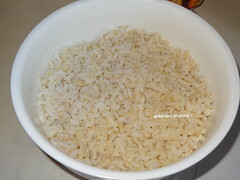 Divide the rice into 2 equal portion. 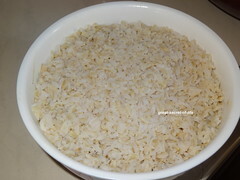 Take a baking dish and arrange rice and press it down to pack it. 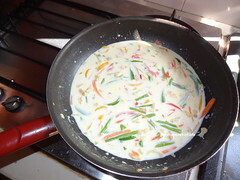 Spread the white sauce vegetable and Add another layer of rice. 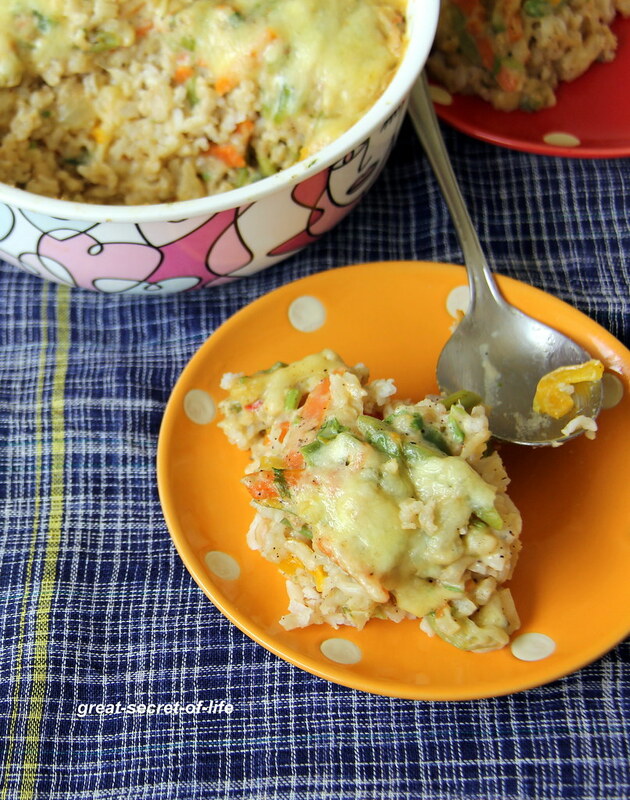 Love thus baked vegetable rice. 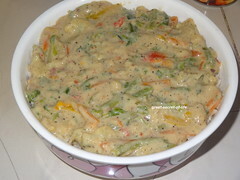 One of my daughter's fav..
Love this version veena........looks yummm! Wow this is an interesting idea.. super tempting!! 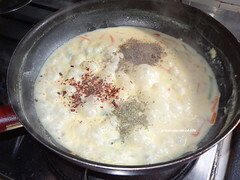 Love anything made with rice. 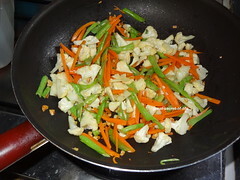 What more this dish, with brown rice and veggies - healthy and nutritious. 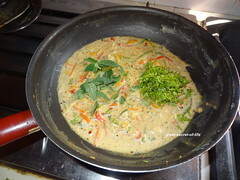 Looks very delicious and healthy! 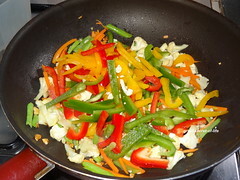 looks and sounds interesting, love to feed this to my picky eaters.